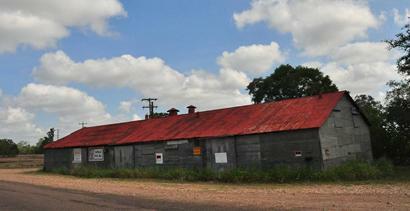 Rek Hill, Texas, Fayette County. 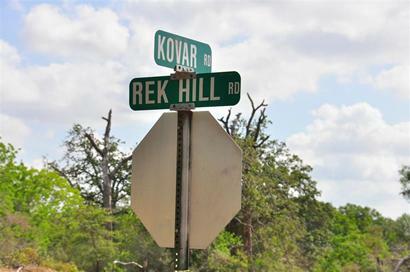 The Rek Family were early settlers and the town was named for them. Hearing the name before seeing a sign leads one to believe it is "Wreck Hill" and that some monstrous accident crashed its way into the local history. 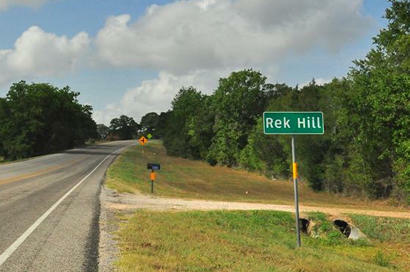 There's a hill though and it's possible and even likely that Rek Hill has had their share of wrecks. 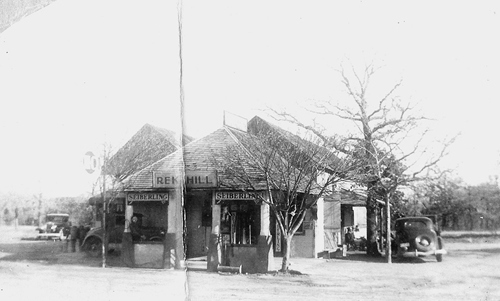 In 2000 the only businesses in Rek Hill were an antique shop and a feed store. 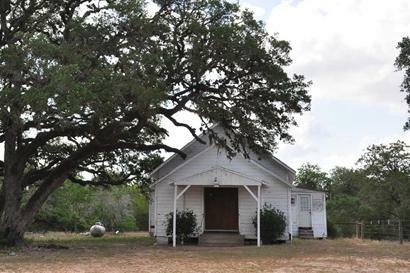 The school has been part of the Fayetteville school system since the 1950s. 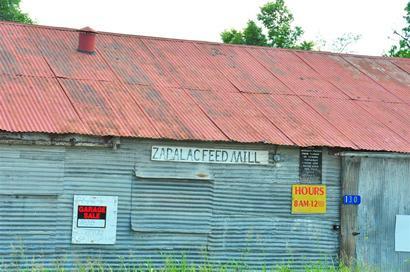 Located three miles east of Fayetteville, the community was founded in 1883 by Ignac Rek and Jerry Roland, who purchased 50 acres of land. 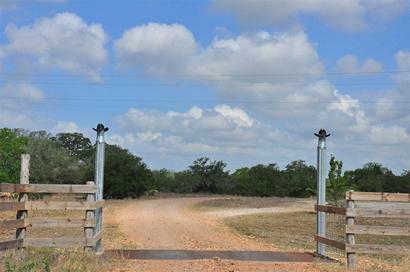 Rek's children helped him clear the land, which had plentiful amounts of wild game plus abundant fish in Cummins Creek. 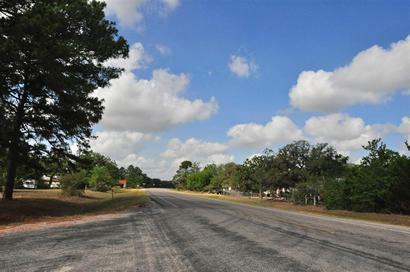 Other settlers moved in on the higher ridge, while the fertile creek bottom was used for farming. Some of the Czech families were the Knebliks, Orsaks, Kovars, Bacas, Zapalacs and Konvickas. Two German families were the Kurtzes and Muellers. A school called Slovan-Bordovice was built in 1895 on Kovar and Kneblik land. Bordovice, Moravia was the village of origin of some of the settlers, so the community was also called Bordovice by some. 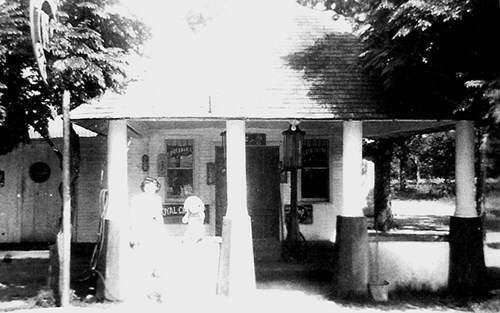 Paul Kneblik built a store in 1892; a cotton gin was built in 1895 by Louis Mueller, and in 1908, John Rek, the son of Ignac Rek, built a blacksmith shop and helped build a store for his brother, Ignac, Jr., whose daughter, Betty, and husband, Ernest Watson, purchased the store in the mid-1940s and operated it for a number of years. 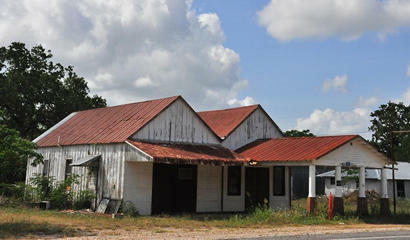 A few other businesses have been operated there throughout the years, with the last being an antique store. *The town was actually Reck Hill, but I used my poetic license.